Riverscape lot 1 includes high density residential land in downtown Portland, OR, with 1.38 acres of waterfront Multifamily. The property has a 2:1 floor area ratio that can feasibly fit a six story apartment building with four riverfront town homes for a total approximately 150 units with an average size of 700 square feet. 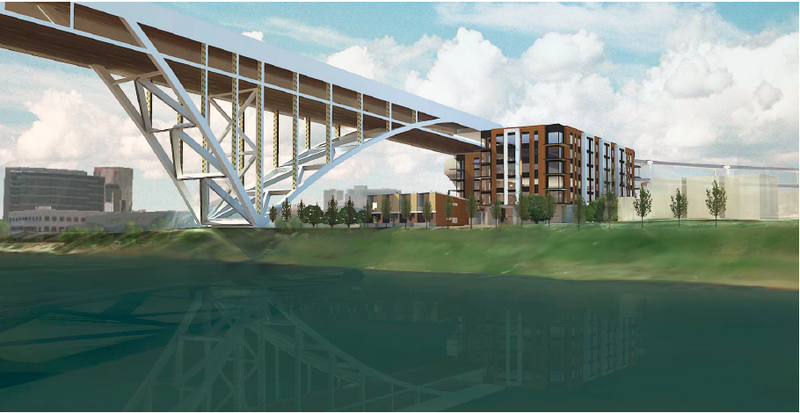 Located at the northern end of the River District Urban Renewal Area, this Riverscape lot offers a great residential mixed use development opportunity adjacent to the Pearl District.